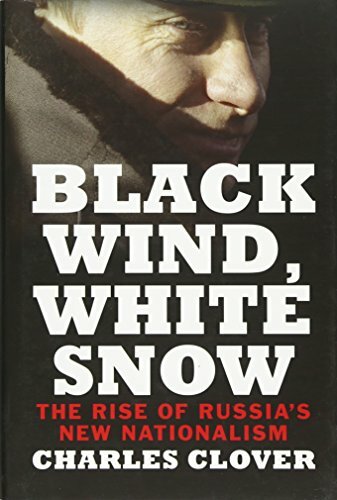 [PDF] Black Wind, White Snow: The Rise of Russia's New Nationalism | Free eBooks Download - EBOOKEE! Description: Charles Clover, award-winning journalist and former Moscow bureau chief for the Financial Times, here analyses the idea of "Eurasianism," a theory of Russian national identity based on ethnicity and geography. Clover traces Eurasianismâ€™s origins in the writings of White Russian exiles in 1920s Europe, through Siberiaâ€™s Gulag archipelago in the 1950s, the dissolution of the Soviet Union in the early 1990s, and up to its steady infiltration of the governing elite around Vladimir Putin. This eye-opening analysis pieces together the evidence for Eurasianismâ€™s place at the heart of Kremlin thinking today and explores its impact on recent events, the annexation of Crimea, the rise in Russia of anti-Western paranoia and imperialist rhetoric, as well as Putinâ€™s sometimes perplexing political actions and ambitions. No comments for "[PDF] Black Wind, White Snow: The Rise of Russia's New Nationalism".